It’s hard to believe that the Marvel Cinematic Universe is celebrating its’ tenth birthday this year. From the humbler beginnings with Iron Man and The Incredible Hulk to the upcoming releases of Captain Marvel and whatever the next Avengers film will be called, no one can deny the impact the Marvel films have had. Not only in pop culture, but to cinema itself with many other studios now attempting the own shared universe experiences. There may have been Marvel films before the MCU with varying degrees of success – but since 2008 and the release of Iron Man, the success of Marvel has only gone one way. 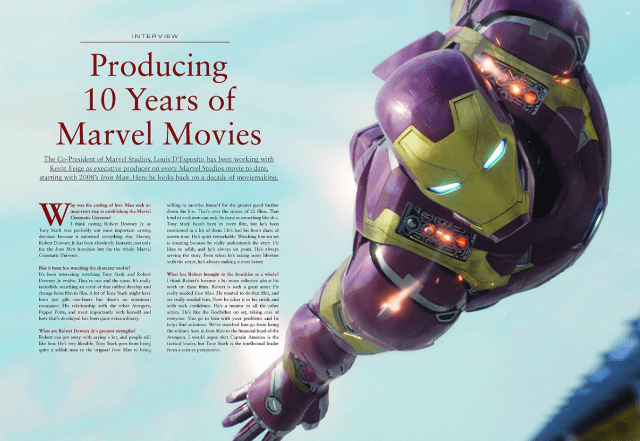 To celebrate this, Marvel Studios have teamed up yet again, this time with Titan Comics to release a special book that includes timelines, interview and a look back at every film so far in the MCU. 19 of the 20 films currently released are included in the tome, with a synopsis of each film available. These are good recaps of the films and are far more bitesized than watching each film back-to-back. Not that you don’t need an excuse to watch them all again but where time is an issue, these are an excellent substitute. But before these there are interviews with two of the men that are most responsible for making the MCU: Kevin Feige and Louis D’Esposito. These interviews seem very topical discussing the films up to and including Avengers: Infinity War, with particular emphasis on how the Russo brothers – directors of the brilliant Captain America films – came to be given the job of directing Infinity War and its’ sequel. Anyone that has seen Civil War will know they can be trusted with a huge roster of heroes. These aren’t the only interviews in the book, there are plenty more. 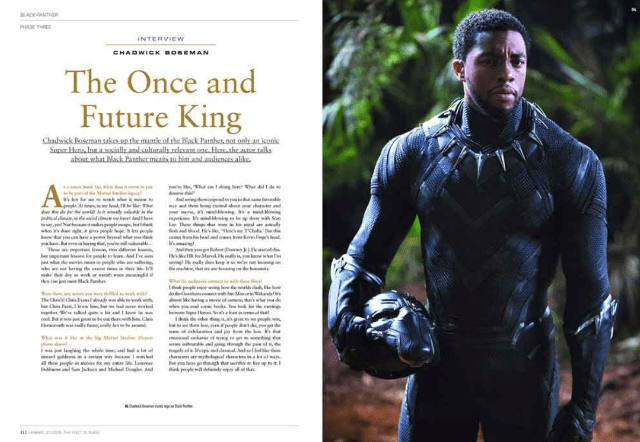 Interviews with legendary people associated with the MCU include William Hurt, Sir Kenneth Branagh, Don Cheadle, Chris Hemsworth, Scarlett Johansson, James Gunn and Benedict Cumberbatch to name but a few. One interview – jointly held with Gwyneth Paltrow, Robert Downey Jnr. and Jon Favreau – clearly shows the relationship between the three, reminiscing with fond memories on their time together filming the Iron Man films. But one interview specifically hit me right in the feels; that which accompanies the Iron Man 2 section with the late, great Stan Lee. It’s always good to see anything from the creator of so many of these classic characters but reading his thoughts on the first two Iron Man films and his opinions are given extra poignancy after his recent death. He speaks with such passion and appreciation regarding the films. Films about characters that he created. His legacy will be preserved long after the MCU is finished, and he will be missed by all involved, both crew and fans. 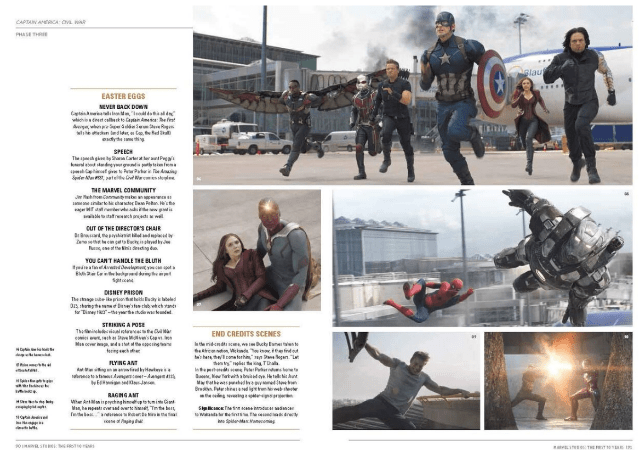 This isn’t just a book of interviews though and plot synopses; each film has a list of Easter Eggs to keep an eye out for next time you get around to watching them, and a short description on the post credit scenes that have become so iconic in Marvel films. Either offering a glimpse at a future film, or a cameo from another Marvel character (Looking at you, Howard the Duck), the post credit scenes have become much as part of the MCU as the heroes themselves. There is also a comprehensive timeline of the Universe as it is so far, starting from the very beginning with the creation of The Infinity Stones and the emergence of The Collector and Grandmaster, right up to the arrival of Thanos on Earth. This is the first time a timeline has officially been made and includes some changes to what has been perceived before. Whether this timeline remains intact after the events of the upcoming Avengers film will remain to be seen. The book isn’t without some omissions though, and perhaps the biggest one being a section on Spider-man: Homecoming. Each film has their own specific section so it seems odd for Spider-man to not be included – he is mentioned as having his first appearance in Iron Man 2 (a fact that was retconned in when Marvel finally got the greenlight from Sony to add Spider-man into the MCU) so it isn’t like any mention of the superhero at all is prohibited. Also omitted is any reference to the other forms of media the MCU has spread into. Understandably, this is a celebration of the films but the MCU is so much more than these, it would make sense to at least include references to The Defenders, Agents of SHIELD, Agent Carter or even any mention of the tie-in comics. It does double as a coffee table book however, with the inclusion of hundreds of photos. Movie posters, stills from the films and plenty of backstage photos allow us to get an inside look, and this celebration is brimming with pictures alongside the words. 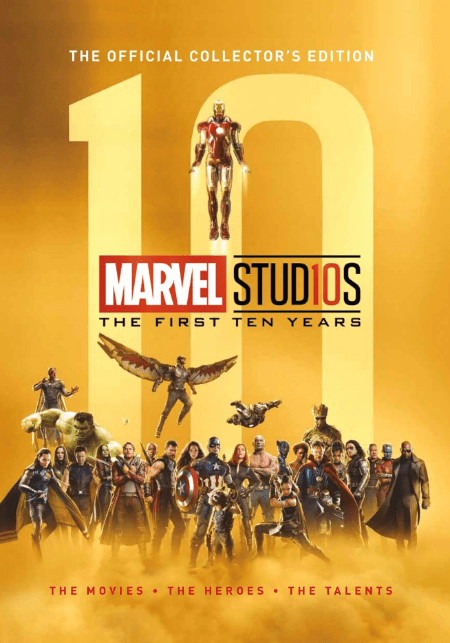 Marvel Studios: The First Ten Years is a great stocking filler for fans of the films. There is plenty to read and look at and even if you just choose your personal favourite to read through, it will leave you with a big urge to watch the film straight after. The MCU has come a hell of a long way and this book is a great celebration to all that it has become. Here’s to the next ten years! I am excited to see which heroes will be featured in the next book.